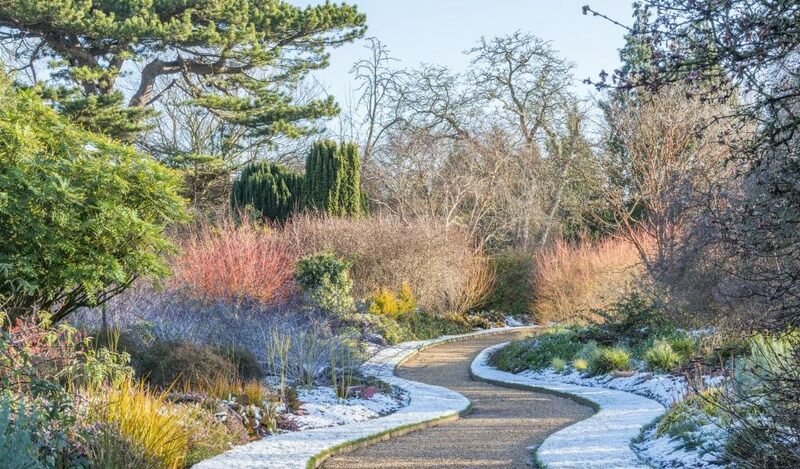 Cambridge University Botanic Garden holds a collection of over 8,000 plant species from all over the world to facilitate teaching and research. The Garden provides resources including plant material, horticultural expertise and facilities to research workers and lecturers. Glasshouse Supervisor and former Young Horticulturist of the Year Alex Summers will tour us around the historic Victorian glasshouse range. There will be chance to visit the Winter Garden which celebrates its 40th anniversary this year. Also, the magnificent ‘Rising Path’ which opened in 2018 provides an excellent vantage point over the listed landscape of the original plant systematics beds. Coffee and cake will be served beforehand In the Sainsbury Laboratory, please meet in the main reception of Sainsbury Laboratory. The entrance is at 47 Bateman Street, Cambridge, CB2 1LR (please be beware that parking at the Sainsbury Laboratory is limited. There are however excellent public transport links: Cambridge Railway Station is 12 minutes’ walk away and Cambridge has an extensive Park and Ride system, the Laboratory is easily accessed by routes serving the Railway Station (Babraham Road P&R) or Trumpington Road (Trumpington P&R). See www.cambridgeparkandride.info for further details. CIH Members £10, Non Members £15. How do I book a place or find out more? Organised by the Eastern branch of the Chartered Institue of Horticulture.